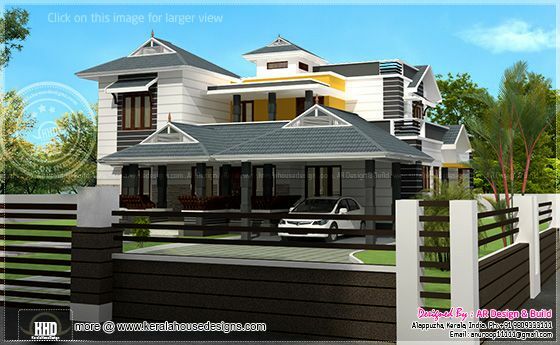 5 bedroom residence elevation design in 2938 Square Feet (273 Square Meter) (326 Square Yards). Designed by Anuroop Anu, AR Design & Build, Alappuzha, Kerala. Ground floor : 1915 sq.ft. First floor : 1023 sq.ft. Total area : 2938 sq.ft.